Canadian physician payload specialist astronaut 1983-1992. Neurologist. First Canadian female astronaut. IML-1 payload specialist. Status: Inactive; Active 1983-1992. Born: 1945-12-04. Spaceflights: 1 . Total time in space: 8.05 days. Birth Place: Sault Ste. Marie, Ontario. Educated Guelph; Western Ontario; Toronto; McMaster. Born in Sault Ste. Marie, Ontario, Canada. Dr. Bondar has certification in scuba diving, parachuting, and holds a private pilot's license. She enjoys photography, biking, hot air ballooning, roller blading, and flying. Distinguished Professor, Centre for Advanced Technology Education (CATE), Ryerson Polytechnic University, Toronto, Ontario; CIBC Distinguished Professor, Faculty of Kinesiology, University of Western Ontario, London, Ontario; Visiting Research Scholar, Department of Neurology, University of New Mexico; Visiting Research Scientist, Universities Space Research Association, Johnson Space Centre, Houston, Texas. Principal investigator, Transcranial Doppler in Patients with Orthostatic Intolerance, University of New Mexico, Deaconess Hospital, Boston; Principal investigator, Transcranial Doppler in Astronauts Before and After Space Flight, Johnson Space Centre, Edwards Air Force Base, and Kennedy Space Centre; Author, Touching the Earth, Key Porter Books, Toronto, Ontario; Chair, Friends of the Environment Foundation (non-profit organization of Canada Trust). Attended elementary and secondary school in Sault Ste. Marie, Ontario. Degrees: B.Sc. in zoology and agriculture, University of Guelph, 1968, M. Sc. in experimental pathology, University of Western Ontario, 1971, Ph.D. in neurobiology, University of Toronto, 1974, M.D., McMaster University, 1977. Admitted as a Fellow of the Royal College of Physicians and Surgeons of Canada as a specialist in neurology in 1981. Dr. Bondar is a neurologist and researcher. After internship in internal medicine at Toronto General Hospital, she completed post-graduate medical training in neurology at the University of Western Ontario; neuro-opthalmology at Tuft's New England Medical Center (Boston) and the Playfair Neuroscience Unit of Toronto Western Hospital; and carotid Doppler ultrasound and transcranial Doppler at the Pacific Vascular Institute (Seattle). She was appointed Assistant Professor of Medicine (Neurology), McMaster University, 1982-84; Scientific staff, Sunnybrook Medical Centre, Toronto, 1988-present; Visiting Research Scholar, Department of Neurology, University of New Mexico, 1993-95; Adjunct Professor, Department of Biology, University of New Mexico, 1992-1994; Distinguished Professor, CATE, Ryerson, 1992-present; Visiting Distinguished Fellow, Department of Medicine, Faculty of Health Sciences, McMaster University, 1993-94; Visiting Distinguished Professor, Faculty of Kinesiology, University of Western Ontario, 1994-present. She was one of the six original Canadian astronauts selected in December, 1983 and began astronaut training in February, 1984. She served as chairperson of the Canadian Life Sciences Subcommittee for Space Station from 1985 to 1989, and as a member of the Ontario Premier's Council on Science and Technology from 1988 to 1989. In early 1990, she was designated a prime Payload Specialist for the first International Microgravity Laboratory Mission (IML-1). Dr. Bondar flew on the space shuttle Discovery during Mission STS-42, January 22-30, 1992 where she performed life science and material science experiments in the Spacelab and on the middeck. D.Sc., Mount Allison University, Sackville, New Brunswick, 1989; D.Hum.L., Mount St. Vincent University, Halifax, Nova Scotia, 1990; Senior Fellowship from Ryerson Polytechnical Institute, Toronto, Ontario, 1990; D.Sc., University of Guelph, Guelph, Ontario, 1990; D.Sc., Lakehead University, Thunder Bay, Ontario, 1991; D.Sc., Algoma College, Laurentian University, Sault Ste. Marie, Ontario, 1991; D.Sc., Saint Mary's University, Halifax, Nova Scotia, 1992; D.Sc., McMaster University, Hamilton, Ontario, 1992; L.L.D. University of Regina, Regina, Saskatchewan, 1992; L.L.D., University of Calgary, Calgary, Alberta; D.U., University of Ottawa, Ottawa, Ontario, 1992; D.Sc., University of Toronto, Toronto, Ontario, 1992; D.Sc., McGill University, Montreal, Quebec, 1992; D.Sc., York University, Toronto, Ontario, 1992; D.Sc., Carleton University, Ottawa, Ontario, 1993; D.S.L., Wycliffe College, University of Toronto, Toronto, Ontario, 1993; D.Sc., Royal Roads Military College, Victoria, British Columbia, 1993; D.Sc., Memorial University, St. John's, Newfoundland, 1993; D.Sc., Laval University, Laval, Quebec, 1993; D.Sc., University of Montreal, Montreal, Quebec, 1994; D.Sc., University of Prince Edward Island, Charlottetown, Prince Edward Island, 1994; D.Sc., University of Western Ontario, London, Ontario, 1995. Officer of the Order of Canada; the Order of Ontario; Canada 125 Medal; NASA's Space Medal; Hubertus Strughold Award, Space Medicine Branch, Aerospace Medicine Association; Award of Merit, University of Western Ontario; Medaille de L 'Excellence, L 'Association des Medicins de Langue Francaise du Canada; gLa Personalite de L 'Annee 1992, La Presse; 1995 Women's Intercultural Network International Women's Day Award; 1993 Alumnus of the Year, University of Guelph; Outstanding Canadian, Armenian Community Centre of Toronto; YWCA Woman of Distinction Award, Prince Albert, Saskatchewan, Kurt Hahn Award, Outward Bound; 1992 Paul Harris Recognition Award, Rotary Club of Ancaster, Inductee into the Hamilton Gallery of Distinction, 1995 Women's Intercultural Network International Women's Day Award. Honorary Life Member, Canadian Federation of University Women, Girl Guides of Canada, Federation of Medical Women of Canada, Science North, and Zonta International. Patron, World Congress of Neurology (Vancover), Canadian Federation of Business and Professional Women's Clubs, Mission Air Transportation Network, Canadian Bushplane Heritage Centre, Young Scientists of Canada, Aphasia Centre (North York), Ontario Parks Association, Earth Observation Theatre - Fort Whyte Centre (Winnipeg); 1995 International Mathematical Olympiad. Honorary Chairperson, Canadian Coalition for Quality Daily Physical Education, Women's Soccer Competition - World Student Games, The Parkinson Foundation of Canada, Marsville Program - Ontario Science Centre. Honorary Colonel, 22 Wing, Canadian Armed Forces, Hornell Heights, Ontario. Honorary Director, Save Our North Atlantic Resources. Member, Canadian Association for Women in Science, l'Association des Medecins de Langue Francaise du Canada, Bootmakers of Canada, Canadian Aviation Historical Society. Roberta Bondar Public School, Ottawa, Ontario; Dr. Roberta Bondar Public School, Ajax, Ontario; Queen Elizabeth Public School Resource Centre, Sault Ste. Marie; Alex Muir Public School Resource Centre, Sault Ste. Marie; Trophy for Outstanding Male and Female Athlete of the Year, Sir James Dunn Collegiate and Vocational School, Sault Ste. Marie; Roberta Bondar Gymnasium, Sir James Dunn Collegiate and Vocational School, Sault Ste. Marie; Soo College Scholarship, Sault Ste. Marie; Sir James Dunn Collegiate and Vocational School Scholarship, Sault Ste. Marie; Bawating Collegiate and Vocational School Scholarship, Sault Ste. 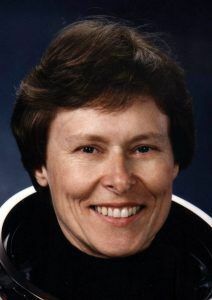 Marie; Girl Guides of Canada Scholarship; Province of Ontario Science and Technology Awards, USS Bondar, The Guelph Trek Club; Roberta Bondar Earth and Space Centre, Seneca College, Toronto, Ontario; Place Roberta Bondar Place - Province of Ontario, Sault Ste. Marie; YWCA Scholarship, Prince Albert, Saskatchewan; Roberta Bondar Rose, Hortico Nurseries; Roberta Bondar Park and Tent Pavilion, Sault Ste. Marie, Ontario. Fellow, Royal College of Physicians and Surgeons of Canada. Member, American Academy of Neurology, Canadian Aeronautics and Space Institute, Canadian Society of Aerospace Medicine, College of Physicians and Surgeons of Ontario, Canadian Stroke Society, Aerospace Medical Association, Albuquerque Aerostat Ascension Association, American Society for Gravitational and Space Biology, Association for Space Explorers, Canadian Society of Aerospace Medicine, Greater Albuquerque Medical Association, Canadian Medical Association, Ontario Medical Association, Canadian Association of Sports Medicine. Family: Astronaut. Country: Canada. Flights: STS-42. Projects: STS. Agency: McMaster. Bibliography: 12, 5184.